Miss B needs more walks these days since she’s getting a little old to take long runs with me. 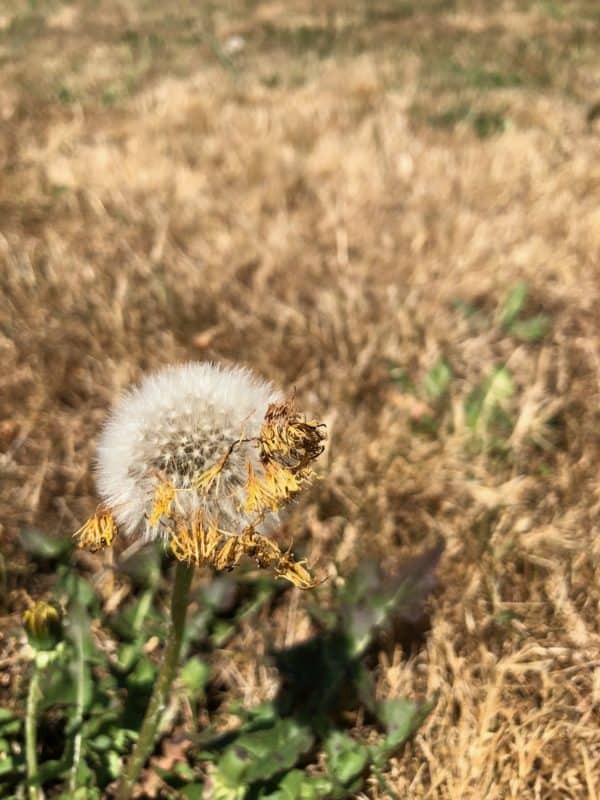 On this one, we came across a dandelion still holding onto to shreds of its sunny face. Or at least, I did, since she was busy searching for something stinkalicious to roll in. For some reason, the little fellow made me feel better. Hold on, it seemed to be saying. Just hold on.